This post is part of an ongoing series on cleansing. To catch up, read part 1, part 2, and part 3. I’m into day 6 of my spring “healthy eating and detox” cleanse and was inspired by a reader (thanks, Laura from Chicago) to focus on some specific detox nutrients. To be on the safe side, I’m going to stick with food sources and skip talking about specific supplements. We’ll keep it natural, gentle and simple. I won’t go into too much detail, but the liver is considered the most metabolically active and important organ when it comes to detoxing. It filters blood at a rate of about 1.5 quarts per minute (you read that right). There’s a lot of action going on throughout the body when we detox, but the liver is the workhorse. There are two blood sources to the liver, one that carries newly absorbed nutrients, drugs, microbes, toxins, and other icky things from the gastrointestinal tract. It detoxs alcohol and chemically alters or excretes thyroid hormones and steroid hormones (estrogens and aldosterone). The liver has to “decide” what to do with all these substances, so keeping it in good shape keeps us in good shape. Here are a few simple and effective detox rejuvenators to help us do that. *Again, check with your health care provider before embarking on a detox cleanse or before taking these products. Just because they are natural doesn’t mean they’re always safe. There may be conditions in which you should not take these products and some should only be taken for a short time. Many herbal products should not be taken during pregnancy — please consult your physician if you are pregnant or nursing. The following organic herbs are believed to help support the digestive tract, liver, kidneys, blood, and/or lungs to promote healthy detoxification. Sarsaparilla root gives root-beer it’s root-beery flavor (what would you call that flavor?) and promotes the excretion of fluids and increases energy (Chi) flow. Milk Thistle (also called wild artichoke) stimulates new cell growth in the liver and helps protect it from toxins. It also protects the gall bladder and kidneys, both of which are involved in detoxing. Milk thistle is also good for adrenal problems, psoriasis and helps boost immune function. Ginger root is protective to the liver and stimulates circulation. I chop, mince, or zest whole ginger root and put it into all kinds of things, including my tea. Dandelion root (celiacchick Kelly mentioned this in my first post on cleansing) stimulates bile production. The liver helps break down and eliminate toxins by producing bile, which is stored in the gallbladder. Bile is part digestive secretion and part excretory product. We want healthy bile flow. It’s rather unattractive looking camo-colored goop, but it’s very important. Red clover helps support liver and kidney function and has anti-inflammatory properties. It also boosts immune function and helps with skin disorders. Rosemary leaves help detoxify the liver, stimulate circulation and digestion, and provide antioxidant protection. Fenugreek seeds stimulate and lubricate the intestines and act as a laxative. Garlic enhances immune function, improves circulation, supports liver and digestion, and helps detoxify the body. Cilantro will have its own post in a few days. I’m actually not sure why, but I love burdock root and have been using it (whole) for a long time. It’s unattractive and isn’t all that tasty, but I use it on a regular basis. I sauté it in coconut oil and pureé it with stock to add depth and thickness to soups and stews. Because I live gluten-free and never add flour for thickening, I use things like cooked potatoes or burdock root, which provide a healthy alternative. Burdock root acts as an antioxidant and aids in the elimination of excess fluid and toxins. It helps purify the blood, supports liver and gallbladder function, stimulates digestion, boosts immune function, helps with skin disorders, and may help relieve PMS symptoms. It can also be used as a rinse to promote hair and scalp health. Good stuff all the way around. I prefer getting my nutrients through organic food sources (rather than supplements) as it’s easier to know what you’re getting and control what you’re ingesting. *The above photo shows a piece of brown burdock root (carrot sized) alongside coin shaped pieces I cut from the root. These are ingredients I used to make burdock root soup a few days ago. This is one of the mainstays of my detoxing routine. I don’t really have a recipe as it’s something that comes out different every time I make it (depending on what I have on hand). If any of you are more interested in that, I’ll make some, pay attention to what I do, and create a real recipe. There are numerous herbal adaptogens, but I’ll stick with this short list of the ones I feel may help with this type of cleansing. Most of these come in organic herbal tea form, so they’re easy to find at your local “natural” market. Go forth and do some spring cleaning! This entry was posted on Monday, April 6th, 2009 at 7:49 am	and is filed under Artful Aging, Celiac & Gluten Intolerance, Gluten-Free Recipes, Nutrition Therapy. You can follow any responses to this entry through the RSS 2.0 feed. You can leave a response, or trackback from your own site. Thanks, Melissa!!!! Great post. I really appreciate it. I just bought some dandelion root and some milk thistle, and I’m looking forward to trying them out and hopefully getting a cleaner liver as a result. How do you actually feel in yourself? Is there honestly a significant difference at the end of a detox? I really am enjoying these posts. It’s a lot to take on board for someone who doesn’t speak this sort of language (metaphorically) but I did say that I was looking forward to picking up hints and tips and there’s plenty to digest here. I must admit that I rather underestimated how extreme your regime would be. Leaving out meat, fair enough. Avoiding dairy, sure. (apart from those sneaky yoghurts you eat under the bed sheets) But I was really surprised to read that avoiding certain vegetables would be complimentary to detox. Very naive I know, but I’m a simple soul. I do like the look of today’s list of rejuvenators; Ginger, garlic, fenugreek, cilantro… we’re halfway to a good curry! You’re welcome. Just make sure you use this stuff with caution as there can be some adverse effects. People assume because these are natural herbs and plants that they’re totally safe. That’s not always the case. Plus, there’s not a lot of research on the potential risks of some of these herbs, so don’t overuse the stuff. I always feel that first and foremost, eliminating the bad stuff is the best way to go. Get rid of trans-fats, processed foods, refined white flour and sugar, fast food — stuff like that. That will serve you well and in a safe way. Having said that, I do think there are times when we need a little boost to our “healing” process and some of these “detoxing” herbs are perfect additions to the menu. Oooh, and it’s so much fun to experiment with using the fresh herbs in cooking. YES, there is a difference in how you feel and your overall health. Not only that, but you develop better habits by doing this periodically. Each time it becomes easier and your body responds quicker. This is just a way to give your system a break. We are exposed to so much “crap” that wasn’t around back 50 years ago. Some of it is not our fault and some of it is poor lifestyle habits. Whatever the cause, it’s good to let your organs take a little break — and you need to support that process by eating the right foods. Like I keep saying though, it’s good to have someone with experience work with you and guide you through the process. Yes, I feel much better, have more energy and even look better. After about 10 days of this, I feel so good that I always wonder why I don’t just live like this all the time. And then I remember how much I enjoy my morning cup of coffee and coconut milk and an occasional glass of pinot noir and a few chunks of dark chocolate and a couple of chestnut flour chocolate chip cookies — well, you get the picture. It’s about finding balance. Thanks for the comments. Nice pun — “there’s plenty to digest here.” You are a clever guy! I’m avoiding dairy other than goat kefir and goat yogurt. I haven’t had any yogurt yet, but it’s on my list of “okay” foods. I love the goat kefir as it’s full of good enzymes and probiotics. The brand I use is wonderful as they don’t add sugar or anything else — just fresh whole goat milk and live and active kefir cultures. It’s good stuff. And as far as the curry goes, that sounds fine. I love curry and some recipes would be fine. You’re on the right track with that stuff, it can be incredibly health. Hmmmm? I might have to go make some. One more thing — depending on the person, I might suggest adding some good quality, organic chicken to the curry. Like I said, everyone is different and in many ways, detox cleanses should be personalized. I don’t blame you, but sorry, alcohol is not part of a detox cleanse. Also, anytime I’ve used milk thistle I’ve ended up with a weird rash on my neck. I figured it was toxins coming out, but always wondered. Do you think it sometimes gets worse before it gets better while detoxing? I used a Dr. Natura cleanse last year. What do you think about that? Seemed to work well. Didn’t have to change diet. Now I’d like to try one like yours with just diet. One more thing, what herbal detox teas do your ecommend? p.s. I drink coconut milk in my coffee too! It’s amazingly delicious. I’d love to try it. I’m obsessed with Redwood Hill Farms goat kefir. If you see it anywhere, buy a bottle of blueberry. YUM! Then skip the milk thistle as weird rashes are not fun. You may have a sensitivity to it. Does it happen fairly quickly? Or after you use it for awhile? There are some common problems that you can experience while detoxing and you can have some skin issues. And yes, sometimes things get worse before they get better, but it depends on what it is and who it is. 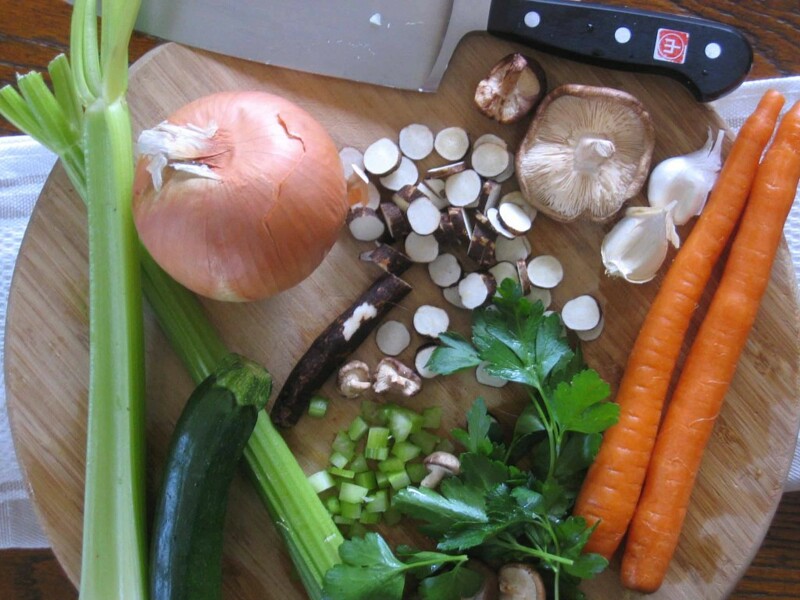 What is your opinion on a liver flush such as Dr. Hulda Clark’s liver cleanse recipe? It seems rather extreme and harsh to me. Just curious. I really love your blog. Just followed a link from a gluten free blog. Thanks for posting your detox regimen. Thanks, I appreciate your comments. I have never tried any of Dr. Clark’s products, so I can’t really comment on them. Having said that, I prefer avoiding the things that cause irritation to the system and using good quality food as my healing and cleansing tools. I want to know what I’m taking in, where it came from, and whether it’s organic. Who knows where these various herbal supplements, tinctures, and other products like that come from. Every once in awhile you hear that some product was found to contain poor quality herbs, heavy metals, toxins or whatever. Plus, I agree, I think some of those types of cleanses are too harsh and not good for the body. And if you are in a weakened state already or have some health problems, that intense cleansing could be detrimental. I don’t want to weaken and stress my body, I want to strengthen it. Not to mention, those cleansing programs are expensive! The bottom line — I believe in simply making better food and lifestyle choices. Enjoyed your info. Have just become glutin-free myself, and feel so much better. Have started making kefir from the ‘mother’ grain, and since it is so easy I would highly recommend everyone do it. So much better than commercial for you, with so many more probiotics. Plus you have fresh kefir in 24 hours! Cheers to real kefir and cultured veggies!